If you’re looking to give yourself time out from today’s hectic world and time for you, your family or friends to enjoy, a short break in the beautiful English countryside may do the trick. And, what better way to have a really relaxing break than a stay in a traditional coaching inn or historic hotel in stunning locations, where you can enjoy real ales, traditional English food and hospitality. At Old English Inns, you’ll find a unique selection of the finest historic inns and hotels England has to offer – old coaching inns, elegant country houses, timbered buildings and attractive town houses, each with its own special charm and each located in delightful surroundings. Traditional coaching inns and historic hotels are full of character and are a part of England’s heritage – there’s no better base from which to explore England’s towns, countryside and coastline or to indulge yourself in a favourite hobby. The people at Old English Inns are committed to bringing you the very best in historic accommodation along with excellent value for money – see their offers page for the latest exclusive deals available. Many of Old English’s inns and hotels offer superb facilities to cater for weddings and conferences in beautiful, unique and inspiring surroundings. Whether you’re getting married or planning business meetings, their helpful and friendly booking team is on hand to offer help and advice. 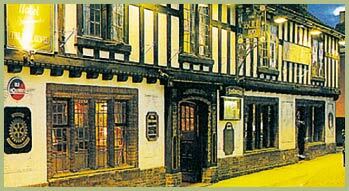 Old English Inns have 50 inns set in picturesque locations and historic buildings in 28 counties, great for that perfect for a getaway holiday. Based in Bury St Edmunds, Suffolk for over 200 years, Greene King, the name behind Old English Inns, has been brewing traditional English ales served in some of the finest inns and hotels in the country. It is this heritage which helps them to ensure that your stay is as relaxing and enjoyable as possible.